In a case that targeted one of France’s best-known foie gras producers was brought by animal rights group, which released a video in 2013 which claimed the conditions at showed ducks confined in individual cages, barely able to move. The video prompted top chefs to suspend their orders with the company. Proprietor Ernest Soulard insisted that the video was a fake. The group responsible for the video denied manipulating the video, stating it received the images from someone with access to the force-feeding areas. 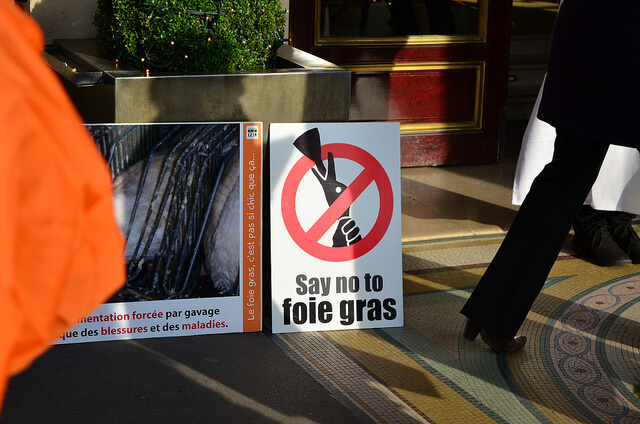 Force-feeding ducks to make foie gras has been banned in several countries but remains legal in France. The European Union ruled in 2011 that birds cannot be kept in individual cages and have allowed farms until the end of 2015 to comply. Officials stated company’s sticks closely to the law even if certain people do not agree with the method of production, however it is still legal.